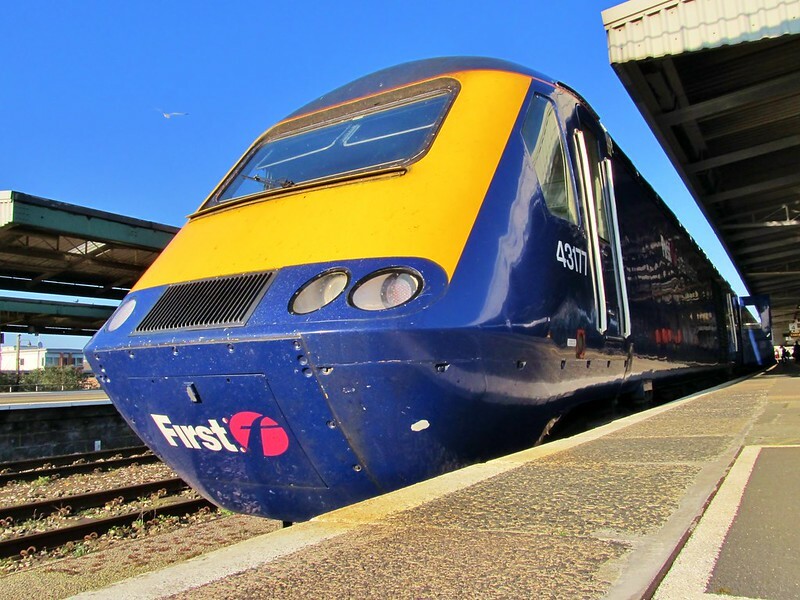 First Great Western (FGW) is to be offered a new franchise which could last up to four-and-a-half years, the Department for Transport (DfT) says. The train firm currently has a short-term extension to its franchise which runs out in September 2015. The new franchise would cover the entire period of upgrades taking place on the Great Western network. It is also likely to include a replacement fleet of suburban trains for the Thames Valley. The deal means that the current FGW management team will remain in place throughout Network Rail's electrification programme, the new multi-billion pound fleet of intercity trains - to be built by Japanese firm Hitachi - and the launch of Crossrail services to Reading. No financial deal has yet been agreed, but FGW's parent company FirstGroup, the leading transport operator in the UK and North America, will be the only bidder. FirstGroup chief executive Tim O'Toole said "a period of detailed negotiation" would now follow but that the operator was "very pleased" with DfT's offer of a direct award of three-and-a-half years, with an option to extend for up to one year. Tony Miles, of Modern Railways magazine, said having the same, "most experienced" team in charge of the upgrades would be most beneficial for passengers. "It's the most sensible decision to take while Great Western is undergoing this period of massive change," he said. Photo credit: Lee Bristol under Creative Commons Licence. FirstGroup’s continued tenure is controversial as the transport operator had cut short its contract in 2011 in order to avoid paying more than £800m in premium payments to the government. However, DfT plans to retender the contract had to be scrapped in the wake of the West Coast mainline fiasco. Instead, FirstGroup was offered an extension until 2015 on more favourable terms as the government kept the franchise system ticking over, with the DfT confirming a further extension until 2019 on Friday. The DfT argues that with a long-term programme of works on the route, including electrification of the track and the introduction of a new fleet of IEP trains, it would prove too disruptive to change operators. The uncontested deal will maintain some foothold in rail for FirstGroup, which has been beaten to a string of contracts, including losing its former First Capital Connect franchise to the new Thameslink franchise, and the shock loss of Scotrail for the Aberdeen-based group to Dutch firm Abellio. While the terms of the latest extension are to be negotiated, figures obtained by the shadow transport secretary, Mary Creagh, showed that FirstGroup’s payments to the government had plummeted from £169m a year in 2013 to £17m a year under the first direct award granted under the coalition, which sees FirstGroup run the line until mid-2016. THE GUARDIAN 11 MAY 2011: FirstGroup to quit Great Western rail deal early FirstGroup is handing back its £1.1bn Great Western rail contract three years ahead of schedule after admitting that the deal, one of several £1bn-plus franchises struck at the height of the credit boom, had become unsustainable. THE GUARDIAN 31 JANUARY 2013: West coast mainline fiasco was caused by 'irresponsible decision' The west coast main line fiasco was rooted in an irresponsible decision to rush into a complex programme of railway refranchising with a depleted staff, a cross-party group of MPs has reported. The transport select committee found that civil service errors compounded this "recipe for failure", which eventually led to the award of Britain's most lucrative rail franchise to FirstGroup scrapped after Virgin's legal challenge. STEVES BUS AND TRAIN PAGE: Ipswich Interrupted However, as interruptions go this was unexpected and rather good. Carters recent acquistion 915 was sitting gleaming in her all red paint job. A classic 1997 Volvo Olympian R915 RYO.